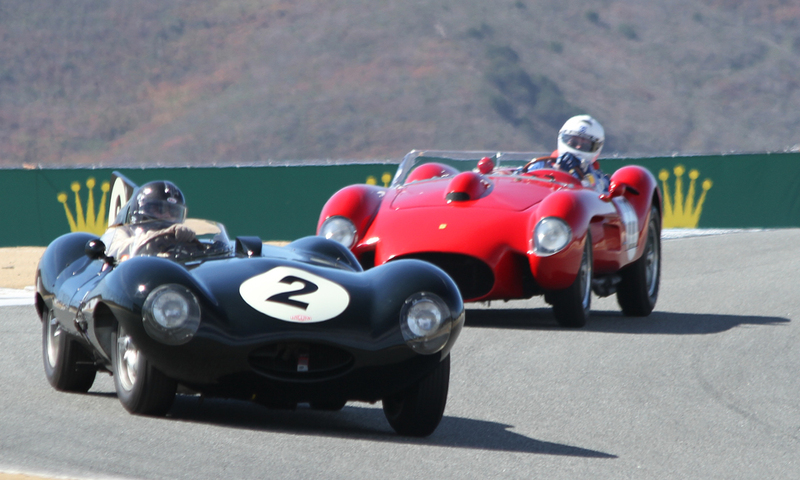 U. Daniel Ghose -- 1955 Jaguar D-Type / Tom Price -- 1958 Ferrari 250 TR "Testa Rossa"
Two classics set up for the corkscrew. Merle Brennan raced a D-Type Jaguar in northern California events in 1961. Gordie Glyer was the fastest of northern California's "Testa Rossa" drivers in 1960-61.